Vinification & Aging: Harvested October. Whole grape pressed, temperature controlled fermentation in stainless steel tanks, very long contact with the yeast, bottled in April. 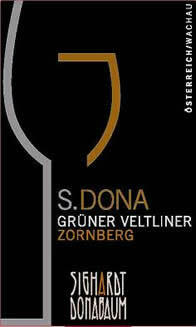 Description: The classical Veltliner’s note, white pepper spicy fruit, pineapples, complex and full bodied, long finish. Food Pairing: Smoked fish, speck.